MesoLawyersCare is a an organization consisting of four of the nation’s leading mesothelioma law firms (Cooney & Conway; Kazan McClain Satterley & Greenwood; Levy Konigsberg LLP; and the Nemeroff Law Firm). MesoLawyersCare, through its member law firms, provides legal representation for mesothelioma patients and their families nationwide and also works to raise money for mesothelioma research and patient care. The MesoLawyersCare law firms have recovered billions of dollars for mesothelioma victims and have donated millions of dollars to mesothelioma research and patient care. The mission of MesoLawyersCare is to help mesothelioma patients and families obtain the highest quality legal services, with the goal of obtaining the highest amount of compensation possible in each mesothelioma case. It is our mission to take our more than 100 years of collective legal experience in mesothelioma cases and use it to hold any company fully accountable for causing injury and devastation to our clients. To help our clients with their non-legal needs, we also put our clients in touch with experienced mesothelioma nurses who can help guide our clients through their challenging medical journey. Why should I choose MesoLawyersCare? The most important reason to contact MesoLawyersCare if you, or a loved one, has been diagnosed with mesothelioma, is the collective experience of the four law firms who created this organization. The MesoLawyersCare firms have more than 100 years of combined experience handling mesothelioma cases. The MesoLawyersCare law firms are passionate about aggressively litigating each case and getting the justice each of our clients deserves. With more than 10 offices nationwide, the MesoLawyersCare law firms have offices that are conveniently located to our clients from coast-to-coast. How many mesothelioma cases have your firms handled? The MesoLawyersCare law firms have successfully handled thousands of mesothelioma cases, including the full range of asbestos-exposed trades including, for example, auto mechanics, drywall workers, boilermakers, plumbers, steamfitters, insulators, plant workers and Navy any other military personnel. The MesoLawyersCare law firms have also successfully represented mesothelioma clients who were exposed from working next to other working with asbestos products (bystander exposure) as well as people who developed mesothelioma from contact with asbestos-contaminated clothing (take-home exposure). What is your track-record in mesothelioma cases? 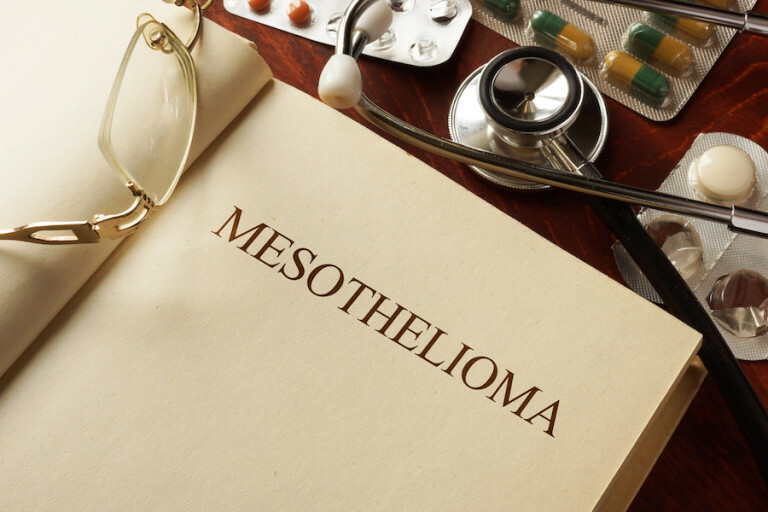 The MesoLawyersCare law firms have a proven-track record in mesothelioma cases that has been established through more than 100 years of combined experience. The MesoLawyersCare attorneys have obtained record-setting jury verdicts and settlements including the #1 largest compensatory damages mesothelioma verdict and the #1 largest punitive damages mesothelioma verdict ever upheld on appeal in the history of asbestos litigation. How much money have you recovered for your clients? The MesoLawyersCare law firms have recovered a total of more than $10 billion dollars on behalf of clients who have suffered from mesothelioma. The MesoLawyersCare law firms have accomplished this by dedicating themselves to the areas of law needed to successfully litigate mesothelioma cases. The MesoLawyersCare law firms know and understand that underneath the billions of dollars recovered for our clients are the individual lives of hardworking individuals, and the devastation and loss for which money can never fully compensate. With this knowledge, we work as hard as we can to do the only thing we can – help our client obtain the highest amount of compensation possible. How does MesoLawyersCare earn fees? The MesoLawyersCare law firms offer each mesothelioma client a “contingency fee” contract. This means that the MesoLawyersCare law firms will advance the costs and expenses needed to investigate and prosecute the case. The MesoLawyersCare law firms will only be reimbursed for costs and expenses, and receive attorney’s fees, if we win money for our clients. The MesoLawyersCare law firms take care to make sure that they only incur costs and expenses in the case that are reasonably necessary to make the case as successful as possible. What do I need to provide MesoLawyersCare in order to get started? To get started, all you need to do is contact us and provide us information about your mesothelioma diagnosis or the mesothelioma diagnosis of a loved one. When you contact us, we will also get information from you that will help us determine where and when the asbestos exposure occurred. As things proceed, we will obtain the pathology report confirming the mesothelioma diagnosis as well as records that may exist that help document the asbestos exposure. Will you see seek funds from an asbestos trust fund or pursue a trial against specific defendants? We evaluate every case individually. In some cases, filing bankruptcy trust (asbestos trust fund) claims is the proper course of action. In other cases, the proper thing to do might be to only litigate a civil action by suing companies in court. The MesoLawyersCare law firms use their more than 100 years of combined experience to help our clients make the decisions that are right for them and their case. How long does the process take and when can we expect to receive funds? In some cases, we are able to obtain funds for clients in a matter of months. In other cases, it can take longer. There are many asbestos dockets located in various locations in the United States that permit a mesothelioma case to get to its trial date within 1 year. Depending on the financial needs of our client, in certain cases we are able to take steps to expedite the recovery of some settlement money to help our clients. The answer to this question depends very much on the facts of your case, the evidence that we have to work with, and understanding your goals and needs for the case.